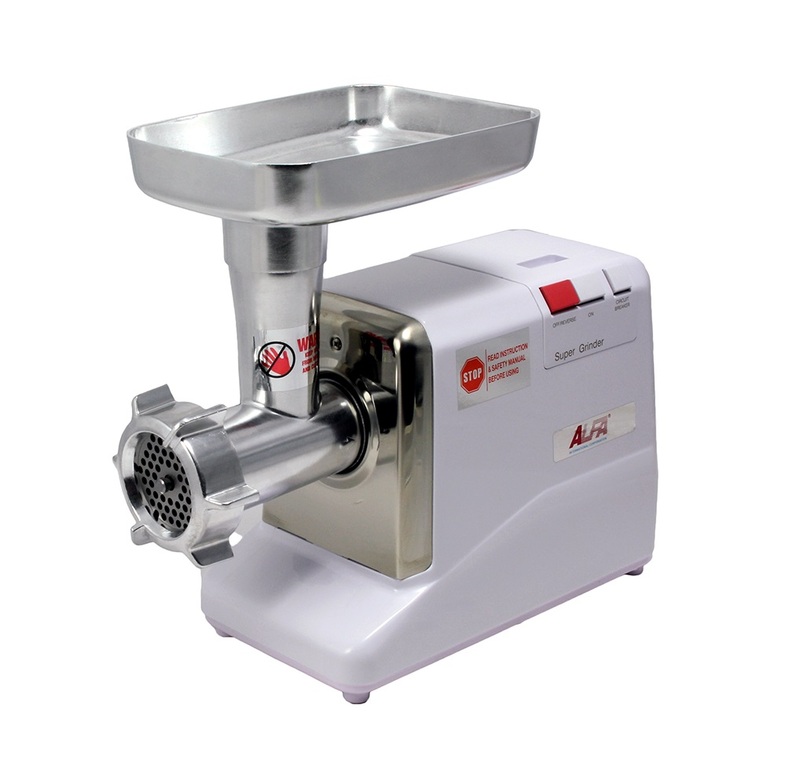 A superb unit for domestic or light commercial meat processing, this compact electric meat grinder from Alfa International (model Mc5) doesn�t take up much room but it has a powerful .5-horsepower, 350-watt motor that will grind meat at a rate of up to three pounds per minute. The Mc5 runs on standard 120V power and features both forward and reverse gears (this is a big help in clearing jams in the grinder mechanism); there is a safety overload protection breaker switch built-in. The gears of this unit are steel (rather than plastic, as you will find in many comparable grinders) and the grinder head itself is constructed of die-cast, heavy-duty aluminum. 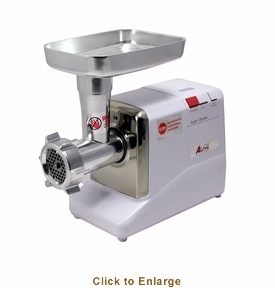 Purchase of the unit includes 3 grinder plates (5/16�, 3/16� & 1/8�) and three stuffer tubes for sausage. Easy to clean (hand washing is recommended) this grinder is E.T.L.-listed and will satisfy the most demanding home processor.